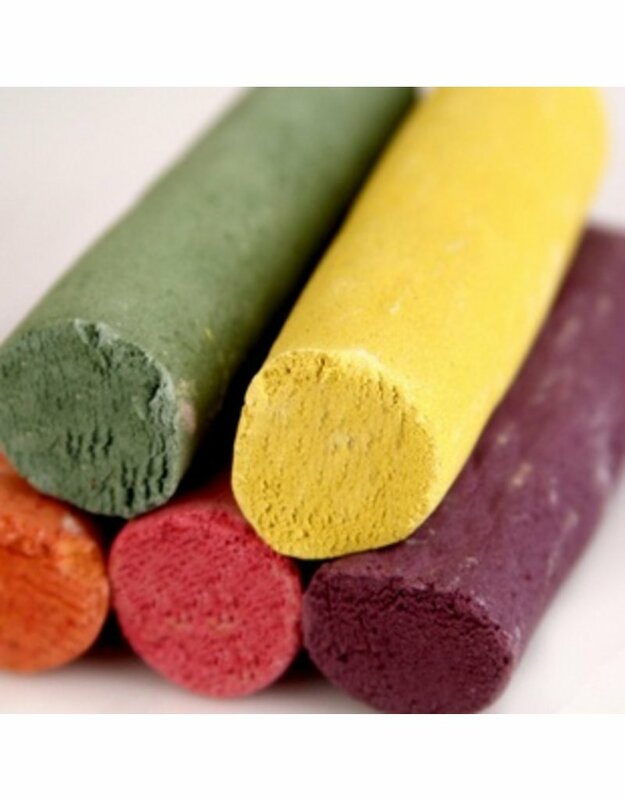 Chalk is thick and perfect for baby to hold. Best to use on cement, sidewalks or other tactile surfaces. No Lead in this chalk! Safe enough for babies and toddlers and fun to use! Made with Organic ingredients. VEGAN, no wheat, no sugar, no preservatives, no dairy!